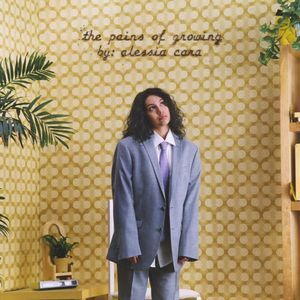 An Alessia Cara x 'The Pains Of Growing' appreciation post. It’s been three years since Alessia Cara dropped her debut album, ‘Know-It-All’, and today she returns with the follow-up, her sophomore release ‘The Pains Of Growing’, which sees Cara exploring more of her own life experiences as a young person. #2. Her profile on CBS just came out, where the popstar invited them into her family home in Ontario, where she’s turned her basement into a make-shift studio, and finds the bathroom acoustic perfect for songwriting. #3. The album includes a song called ‘Nintendo Game’, and what could possibly be better than that? She also teamed up with producer No I.D. for the song 'Comfortable'. He's worked with the likes of Kanye West, Jay-Z, Big Sean, and Vince Staples, but instead brings a Motown vibe to the song. #4. Alessia gave another teaser of the album with ‘A Little More’, which she released on July 11th - which also happened to be her 22nd birthday. The song was written and produced by Cara herself, with her and a stripped-back guitar giving the song a feeling of rawness. Alessia Cara’s album ‘The Pains Of Growing’ is out now - click here to purchase. MusicWatch: Alessia Cara perform 'Wild Things' and 'Scars To Your Beautiful' live for Jimmy Kimmel. MusicAn Alessia Cara x 'Know-It-All' appreciation post.